Why choose a Wodtke, fully automatic, wood pellet stove? Clean, convenient and combining the ultimate in style with the performance inherent in German engineering, we are delighted to introduce you to the Wodtke range of wood pellet stoves. 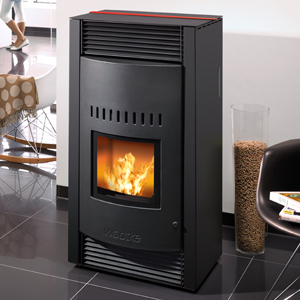 Unlike a wood burner, Wodtke stoves are fully automatic and programmable so your home can be warm when you get home. What's more, they are more efficient and fantastically reliable. There's nothing quite like the warmth and cosiness that a natural flame brings to your living space. But if you've ever had to lay a coal or log fire, and clean out the ash from the grate afterwards, you'll know what a drag it can be. With a Wodtke wood pellet stove you get all the benefits and ambiance of a natural fire, but without the hassle. Stylish and elegant, the top of the range model with decorative side panel in a choice of five colours. The largest pellet capacity of our four stoves, the wide window allows you to see and feel the warmth. With its effortless style and understated elegance, the Ray stove will bring a touch of class wherever it is installed. Our budget option wood pellet stove, affordable, practical yet no less efficient than our other stoves. 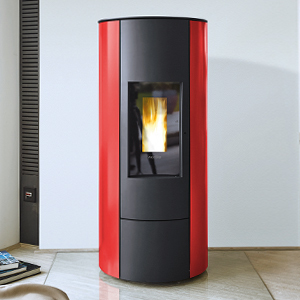 Wodtke is a pioneer in the field of pellet stove technology for homes. Founded in 1989, they have received widespread industry recognition and many awards for their outstanding, innovative technology and design quality. Organic Energy are privileged to offer Wodtke stoves to the discerning UK buyer. Easy to install and light Wodtke stoves are easily installed. 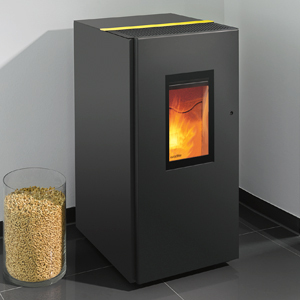 Clean Wood pellets are automatically fed from the hopper to the stove and burn very efficiently. The small amount of ash left is collected in a detachable grate for easy disposal. Programmable What's more, unlike a traditional log or coal fire, with a Wodtke wood pellet stove you can control the heat in your room easily with the programmable wireless thermostat. 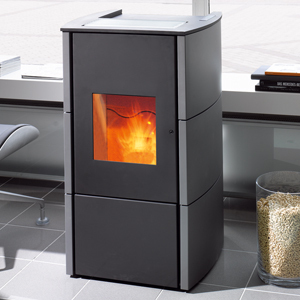 The four Wodtke stoves we have available for the UK are: Crazy, Topline New Motion, Ray and Pat. All combine imaginative style with elegant functionality and collectively offer energy output ranges to suit most family homes. Please view each individual stove design for energy output, features and technical details.